I recently had a fantastic opportunity to speak to a group of young women at Hult International Business School in Boston, MA for the “Women in Business Series: Walk in Her Heels” hosted by the Women in Business Club. I discussed my background and my perspective on how it took me time to realize that the work I am doing today is in conjunction with my original goals as a fresh grad. 12 years in business has afforded me an understanding that fulfillment is much more complicated and you should not expect to gain a fulfilled life from your job alone. We are complex human beings. Take an honest look at yourself, your goals and aspirations to build the right opportunities for yourself. In addition, timing is not everything. Everyone talks about “having it all” which seems absolutely impossible when you are attempting this feat. It is also unfair to put that type of pressure on yourself. I am a successful business woman, wife, mother of a 4 yr. old with another baby on the way. Being everything to everyone has its ups and downs. It was important to me to discuss a topic that I find interesting and something that has helped me in my own career which has been “Finding Opportunity in the Turning Point” When faced with a challenge or turning point in your life on the cusp of change. How can you make the best move, create the best opportunity and successfully position yourself to achieve your goals? Recognizing the Turning Point, The Need for Change? When you realize its time to take on a new challenge; graduating from college, changing jobs, career paths, or a major life event, it is important to recognize the turning point and prepare yourself for a change. I am a list maker by nature and planning the next opportunity takes time to map out. Preparing to dive in takes practice, but when do you dive in the deep end and take a risk? I suggest to start by aligning your personal goals with professional goals. Does your next move incorporate your overall aspirations and mission? If your job path does not, that’s OK. We can’t all make our favorite hobby a job and sometimes reality sinks in. I often find balance between my career and interests by tying in extracurricular activities. Be dynamic. One of my most embarrassing moments was at a 6 grade party. I stood on the diving board (a chubby 10 year old girl), my crush was swimming in the pool, and for some odd reason I decided to announce that I was not only going to dive in, I would up my game and do a back flip. I proceeded to do a back flop in front of my entire class. It was at that moment I decided not to give a f**k and laugh with others (who were laughing at me) and not take everything so seriously. I use this analogy now 20 years later. You are inevitability going to dive in and potentially fail, big time. But that is the first step. Understanding your strengths, disposition and capabilities will help maximize your potential for success. Create a portfolio of your greatest strengths, where do you excel? Figure out what angle you are making the decision from, what is important to you, right now? When seeking a new opportunity, explore all options. When you dive in the deep end to seek change in your career, do your research and know your audience. 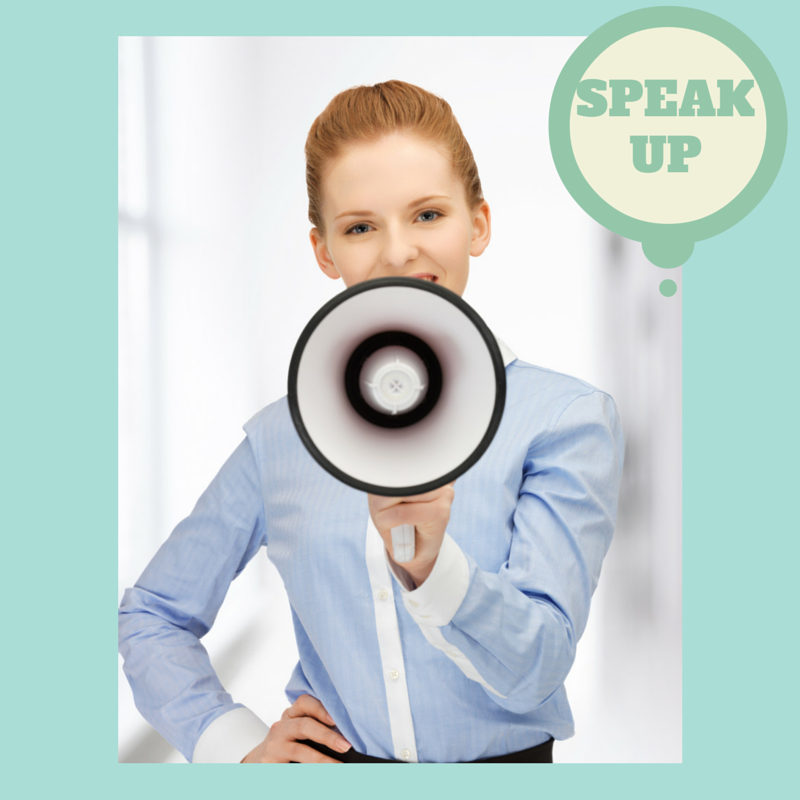 This will help you position yourself appropriately to communicate effectively with your audience. If you promote yourself to change, you will create new opportunities. Get out there! Some quick tips for marketing yourself; preparing your qualifications to engage in change, ask yourself; how are you presenting yourself to the world? Be your own advocate, find advocates. Who do you know that can introduce you to a new career, potential employer, advocate for change? Get comfortable with networking and the only way to do this is to practice. Taking Chances, When to Take Risks? It is important to consider timing when taking chances with your career. It might make sense to take a risk at this point in your life, for others stability might be at the top of the list. Ask yourself, can you really live with this decision every day? Do a walk through of your daily activities and make sure you are happy with your decision. How do you connect with the team, the mission? Finding fulfillment is much more dynamic than landing a job. It is a combination of many things. Finding opportunity at the turning point is lead by your passion, understanding and disposition for the need for change. Capture your interests in both your job and through extra curricular projects to keep a sharp edge on your resume and credential building exercises. At the end of the day, its only a job and true happiness, fulfillment and change is initiated from within. During a recent interview with Chris Hayes on MSNBC, journalist Rebecca Traister was joined by a guest: her newborn daughter! While she spoke about the recent email controversy involving Hilary Clinton, her little bundle slept silently on her chest. I heard nothing about it and only came across the article when looking specifically for the latest news regarding working mothers. This isn’t headline news and may not even go viral, but it should. This small act is huge for working mothers who are striving to prove they are still relevant to their employers, despite their new parental status. As working mothers, our goal is not only to find a balance between work and home life, but also to feel successful and supported in our work environments. Traister made a wonderful statement and point without really trying. She did what feels natural to many of us, which is multitasking work and motherhood. We don’t want to have to hide the fact that we are mothers and we don’t want to be defined by or judged for it at work either. 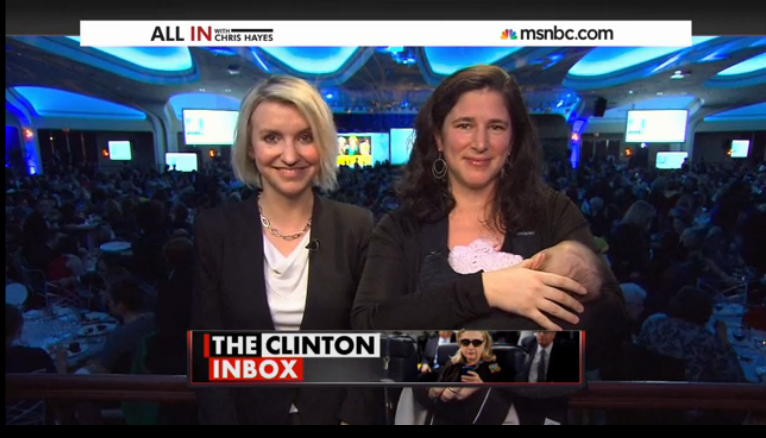 Traister proved that being a mom and having a successful career is not only possible, but it’s the new norm! The more we are exposed to these simple gestures, the more accepting society will be. For now, Blissfulmamas is grateful for another amazing woman who is paving the way for us all! APPLE AND FACEBOOK’S ANNOUNCEMENT THAT THEY ARE COVERING THE COST OF FREEZING EGGS HAS PEOPLE TALKING. I BEGAN THINKING THROUGH MY STANCE ON THIS NEW “CORPORATE BENEFIT” AS A WORKING MOTHER, MYSELF. Is it a benefit or a ploy to have women be indebted to their employers and feel pressure to put off Motherhood? The line between work life and personal life is one that is quickly blurring and policies like these blur those lines even further. Egg freezing is a huge decision and a huge cost, but one that has historically been made after a personal evaluation of your career and financials. With this new benefit a third party, your employer, joins the conversation. Some may argue that your employer was always a part of the conversation, and that is probably true. However, your employer isn’t just a factor anymore, but rather an active contributor. On the one hand this is a fabulous benefit to offer employees who have already or would have elected to freeze their eggs and may not have been able to afford it. It supports women’s flexibility in choosing when they want to start a family and gives them the opportunity to focus on career now and family later. On the other hand, this new corporate benefit can add an element of pressure that some women previously did not feel. Before this benefit, the decision was entirely yours to make. Now, since your employer is funding the process there may be a feeling of obligation, or guilt. If you decide to have a child now rather than freeze your eggs for a chance later, does that put you at a disadvantage to progress in your career if you choose to return to work after maternity leave? Dozens more questions passed through my mind on the matter. What if the company pays to freeze your eggs and later are fortunate enough to have a child when you want one, and then don’t want to go back to work, do you feel pressure to do so because your employer paid for you to freeze your eggs in the first place? What if your employer pays to freeze your eggs and then you decide you want to go to a different company? Do you stay longer than you would have otherwise? I netted out in a place that, at the surface I think it is positive that companies are expanding the benefits they provide their employees, but companies need to do more. I came across one article on SFgate.com that focuses on the need to think about and encourage companies to offer more benefits for employees once they have a family. I certainly agree! Rather than discuss the perception of a benefit that a company has decided to offer, we should continue to encourage people to make the decisions that are right for them and encourage employers to expand their benefits to support those decisions. I hope to see an evolution in the way companies support those employees who choose to have a family. Some companies already offer flexible work hours or on-site daycare, but that is far from the norm and only a start. Timna Molberger is the Director of Analytics at Visible Measures. As a working mom of 2, Timna squeezes in as much time as she can with her husband and two children and when she has a spare moment or needs a break you will find her rock climbing, hanging out with friends, or just relaxing. Timna holds a B.A. in Economics and Sociology from Connecticut College. For me, going to work is a necessity. It is my sanity. I feel that I am a better mom for it. When I come home, I have more patience for my kids (not always) and I am eager to spend time with them. My time with them is precious, not daunting (although at times still difficult and constantly testing my patience). However, finding the balance between work and home is not easy. I find that I need to be extremely organized yet very flexible (not an easy balance to find or maintain). Over the past two years I have developed an ideal schedule for me that makes the balance between the two manageable. The things that have to get done get done. You may not have as much time as you once had, to get your nails done, or relax on the couch, or even get enough sleep, but somehow you make it work, because you want it to work. The key is be flexible and don’t beat yourself up about the little things. Easier said then done, I know. We are harder on ourselves than anyone else is, and remember, your children will love you just the same if you cook them a gourmet dinner or scrambled eggs (they probably would prefer the scrambled eggs! ).